Original List Price: $789,000. List Price at Contract: $759,000. 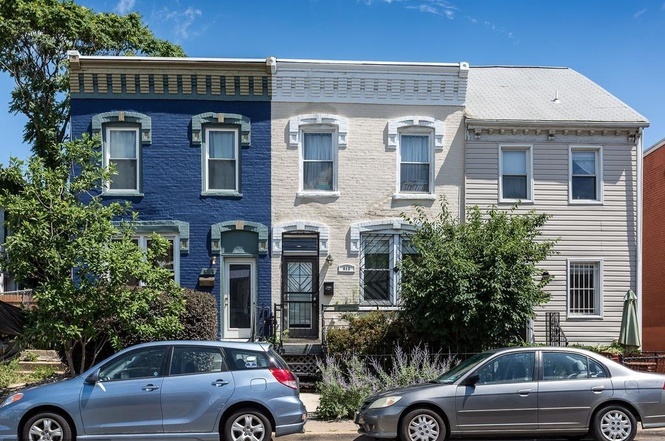 The original GDoN post for this property appeared at the launch price of $789,000. At that price, three commenters expected the small scale house in this location to go for possibly even above $789k. It was also noted in the comments that the home had not been staged and appeared occupied. Photos were updated to show the home vacant. The last owners were smart to have purchased during the Recession in 2009, below the $411,900. list price, after 391 days on market, as a foreclosure for $375,000. (plus they received a $15,000. subsidy.) If you go back and look at the 2009 listing pics, it looks pretty much in the same condition. The neighborhood has certainly changed around the house, with lots of development in proximity of the nearby Howard Theater and Shaw Metro. Moral of the story? When the market slows down, that can be a good time to jump in. The DC real estate market is currently healthy, and expected to remain so for the foreseeable future. That said, any agent that has been around for a few market cycles can tell you that based on history, the market (yes, even in DC) will fluctuate. The next shift is unlikely to be anywhere near as extreme as the Recession years, however as interest rates increase and/or if the stock market takes a hit, some buyers may start to hesitate and others will see opportunity. The listing agent for this transaction was Silvana Dias with W.C. & A.N. Miller. Yo-G Gozner, with Keller Williams Capital Properties, represented the Purchaser.